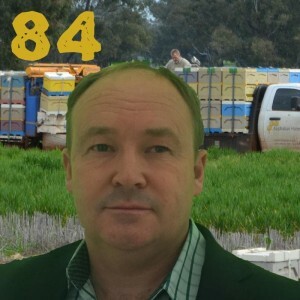 Wow this is a cool talk all about Commercial Beekeeping in Australia with Victor Croker. An interesting discussion about Polystyrene hives as well. I was surprised these work so well in the Australian heat. How Victor and Dave got started. How diseased gear are managed is managed in their operation. Enjoy show the guys and we will back in a couple of weeks with a new show for you. We would be interested to know if you have ever used Polystyrene hive boxes and how you find them in your climate? Yes not so sure about Gamma irradiation, I must study that further. We don't have anywhere that does that here yet. But I wonder if it has any effect on the hiveware?